For the airport formerly known as McGuire Field, see San Jose Airport (Mindoro). 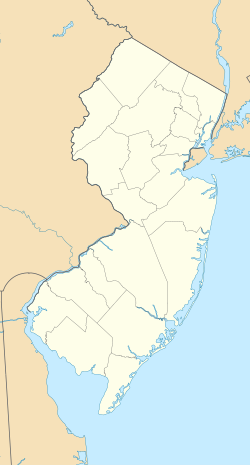 McGuire AFB/McGuire, the common name of the McGuire unit of Joint Base McGuire-Dix-Lakehurst, is a United States Air Force base located in Burlington County, New Jersey, United States, approximately 16.1 miles (25.9 km) south-southeast of Trenton. McGuire is under the jurisdiction of the Air Mobility Command. It was consolidated with two adjoining US Army and Navy facilities to become part of Joint Base McGuire-Dix-Lakehurst (JB MDL) on 1 October 2009. The McGuire Air Force Base census-designated place (CDP) is located in portions of both New Hanover Township and North Hanover Township. As of the 2010 United States Census, the McGuire Air Force Base CDP had a total population of 3,710, of which 737 were in New Hanover Township and 2,973 were in North Hanover Township. The host unit at McGuire AFB is the 87th Air Base Wing (87 ABW), United States Air Force Expeditionary Center, AMC.. The 87 ABW provides installation management to all of JB MDL. The wing also provides mission-ready, expeditionary Airmen to support Unified Combatant Commanders in ongoing military operations. The wing consists of more than 3,100 officers, enlisted, and civilian personnel from the Air Force, Army and Navy. The 87th Air Base Wing is commanded by Colonel Neil R. Richardson. Its Command Chief Master Sergeant is Chief Master Sergeant Christopher M. Yevchak. McGuire originated in 1941 as Fort Dix Army Air Force Base. Closed briefly after World War II, it reopened in 1948 as McGuire Air Force Base. The base was named after Major Thomas B. McGuire, Jr., Medal of Honor recipient, and the second leading ace in American history. McGuire is the only base in both the Air Mobility Command and the entire U.S. Air Force hosting three AMC-gained flying wings of the Regular Air Force, Air Force Reserve and Air National Guard. McGuire hosts the flying needs of its mission partners on JB MDL. Air Force and civilian AMC-contracted aircraft use McGuire's two runways to facilitate this mission. Many hundreds of thousands of Air Force, Army, Navy, and Marine Corps personnel have left the United States for overseas locations from McGuire AFB. Airplanes from McGuire have provided the flyovers for Philadelphia Eagles games and Major League Baseball All-Star and World Series games played in Philadelphia at the end of the National Anthem. These same planes were also responsible for the Super Bowl XLVIII flyover and missing-man formation which came at the end of opera star Renee Fleming's rendition of the National Anthem. McGuire Air Force Base was established as Fort Dix Airport in 1937 and first opened to military aircraft on 9 January 1941. On 13 January 1948 the United States Air Force renamed the facility McGuire Air Force Base in honor of Major Thomas Buchanan McGuire, Jr., (1920–1945). Medal of Honor recipient and second place American flying ace of World War II, Major McGuire died on 7 January 1945 when his P-38 Lightning spun out of control and crashed on Negros Island in the Philippines as he attempted to aid his wingman during an aerial dogfight. Flight operations to support Camp Dix at an adjacent airfield took place as early as 1926. Facilities and runways to support an air mission began in 1937 as a Civilian Conservation Corps project. This was on newly acquired land for the great Army Air Forces expansion approved by the Roosevelt Administration. This nascent airfield and wooden structures was named "Rudd Field." To meet the requirements for a possible world war, Rudd Field was renamed Fort Dix Army Air Base in 1939, and underwent massive expansion from 1940–1941. Runways constructed consisted of three concrete surfaced, 7100x150(N/S), 7100x150(NE/SW), 5400x150(E/W), and one macadam surfaced, 8100x150(NW/SE). The base had its first permanent Army Air Force occupant in November 1941 when the 59th Observation Group took up station on 14 November. Initially during 1941–42 the Group operated a wide range of aircraft, including the BC-1A, L-59, O-46, O-47, O-49 Vigilant, and O-52 Owl, engaging in antisubmarine patrols along the East coast. After the United States' entry into World War II, Fort Dix Army Air Base was used as a training and facility for numerous service units under First Air Force. Once organized and prepared for overseas duty, these units provided support and technical sections for the group requirements as a whole: Flying control, Ordnance, airfield security, firefighting, Post Exchange (PX), Special Services, Mail, Transportation ("motor pool"), Communications, Radar, Gunnery instruction, Personal Equipment, and Weather (Meteorology). The service group also had its own mess section. The service group had approximately 30 officers and 300 to 400 enlisted men. This training continued until 1944. In late 1942, Army Air Forces Antisubmarine Command (AAFASC) took up tenant status at Fort Dix AAB. The 378th Bombardment Group patrolled with a mission to search for German U-Boats in the coastal waters of the Atlantic Coast and to fly aerial coverage of friendly convoys off the east coast with Douglas O-46 and North American O-47 light observation planes. In August 1943, this mission was turned over to the United States Navy. Air Technical Service Command began using the base in 1943 overhauling, servicing and preparing aircraft for overseas shipment to North Africa and to the United Kingdom. This mission continued until the end of the war in 1945, then received returning aircraft from Europe and arranged their shipment to operational bases or to storage locations. Part of this mission was the temporary basing of returning combat (primarily bombardment) groups from the overseas combat theaters and, with the Army Service Forces coordinating their inactivation. Fort Dix Army Air Base was phased down in the fall of 1945 and was placed on Temporary Inactive Status on 15 February 1945; which changed to Inactive Status on 1 March 1946. Jurisdiction of the base was transferred to Strategic Air Command at Andrews Field, Maryland on 1 August 1947, the base remaining in inactive status. Fort Dix Army Air Base was taken out of inactive status and activated as a primary installation on 29 August 1948. Initially reactivated under Strategic Air Command, the facility underwent a modernization program to convert the World War II base into a base for postwar jet aircraft. In addition, support facilities were upgraded from World War II temporary wooden structures to permanent structures for long-term use. SAC activated the 91st Strategic Reconnaissance Wing at the newly re-designated McGuire Air Force Base on 10 November 1948. The 91st SRW was a long-range photographic reconnaissance unit equipped with a mixture of RB-17 Flying Fortresses and RB-29 Superfortresses equipped with wide variety of photographic reconnaissance and mapping cameras in the bomb bays. It moved to Barksdale Air Force Base, Louisiana, on 1 October 1949. With the departure of the 91st SRW, control of McGuire AFB was reassigned to Continental Air Command (ConAC). ConAC assigned the base to Air Defense Command (ADC), at the time an operating agency of ConAC. ADC took jurisdiction of the base on 1 January 1951 with its re-establishment as a separate major command. The 52d Fighter Wing, All Weather was assigned to the base, being moved from Mitchel Field, Long Island on 4 October 1949. Equipped with very long-range F-82 Twin Mustangs, the 52d Fighter Group, All Weather engaged in interceptor training missions against SAC B-29 and B-50 Superfortress bombers simulating air defense missions against incoming Soviet Tupolev Tu-4 bombers. The 52d remained at McGuire until 6 February 1952, when it was inactivated along with the F-82s. The Twin Mustangs of the 52d FW were replaced by the ADC 4709th Defense Wing on 1 February 1952. Under the Eastern Air Defense Force, the 4709th DW (later Air Defense Wing), controlled interceptor squadrons at McGuire, as well as at Suffolk County AFB and Stewart AFB, New York, and Dover AFB, Delaware. Interceptor squadrons stationed at McGuire were the 2d Fighter-Interceptor Squadron and 5th Fighter-Interceptor Squadron. These were replaced in 1955 by the 332d Fighter-Interceptor Squadron and 539th Fighter-Interceptor Squadron. These squadrons flew a variety of ADC interceptors in the 1950s, starting with the F-94 Starfire in 1952, upgrading to the F-84 Thunderjet in 1953, and finally the interceptor F-86D Sabre later in 1953. Military Air Transport Service took over jurisdiction of McGuire AFB on 1 July 1954 and took over the flight line of McGuire in 1956, with the ADC interceptors being reassigned. Air Defense Command became a tenant organization on the base, with the 4709th ADW being re-designated as first the 4621st Air Defense Wing on 1 April 1956, and shortly afterwards as the New York Air Defense Sector (NYADS) on 1 October 1956 under the 26th Air Division. The NYADS was in large part responsible for one of the foundational projects of the computer era: the development of the SAGE (Semi-Automatic Ground Environment) air defense system, from its first test at Bedford, Massachusetts, in 1951, to the installation of the first operational Data Center (DC-01) at McGuire AFB in 1957, becoming operational on 1 July 1958. The SAGE system was a network linking Air Force (and later FAA) General Surveillance Radar stations into a centralized center for Air Defense, intended to provide early warning and response for a Soviet nuclear attack. Developed by Massachusetts Institute of Technology (MIT) engineers and scientists, SAGE monitored North American skies for possible attack by manned aircraft and missiles for 25 years. The heart of the system, the AN/FSQ-7 computer, was the first computer to have an internal memory composed of "magnetic cores," thousands of tiny ferrite rings that served as reversible electromagnets. SAGE also introduced computer-driven displays, online terminals, time sharing, high-reliability computation, digital signal processing, digital transmission over telephone lines, digital track-while-scan, digital simulation, computer networking, and duplex computing. The NYADS was reassigned from 26th AD on 1 April 1966 to First Air Force, until 30 September 1968 when both the sector was inactivated along with DC-01, when budget restrictions along with when technology advances allowed the Air Force to shut down many SAGE Data Centers. The SAGE network, however, remained active until 1983. In 1959, Air Defense Command deployed the CIM-10 Bomarc surface-to-air missile to McGuire AFB. The Bomarc was the only surface-to-air missile ever deployed by the United States Air Force. All other U.S. land-based SAMs were and are under the control of the United States Army. The Bomac site was located 4 miles (6.4 km) ESE of the main base 40°02′06″N 074°26′29″W﻿ / ﻿40.03500°N 74.44139°W﻿ / 40.03500; -74.44139﻿ (46th ADMS) in a separate facility, and was manned by the 46th Air Defense Missile Squadron, activated on 1 January 1959. Two models of the Bomarc were deployed to McGuire, the liquid-fueled CIM-10A (28 missiles), and later the CIM-10B (56 missiles). The supersonic Bomarc missiles were the first long-range anti-aircraft missiles in the world, and were equipped with a W40 nuclear warhead. The site at McGuire went operational in 1959 under the NYADS. Within a year of becoming operational, a Bomarc-A with a nuclear warhead caught fire on 7 June 1960 following the explosive rupture of its onboard helium tank. While the missile's explosives didn't detonate the heat melted the warhead, releasing plutonium which the fire crews then spread around. The Air Force and the Atomic Energy Commission cleaned up the site and covered it with concrete; fortunately, this was the only major incident involving the weapons system. The Bomarc site remained in operation under successor organizations after the inactivation of the NYADS. After its closure in 1972, the accident resulted in the site remaining off limits to the present day, primarily due to low levels of plutonium contamination. Due to the accident, the McGuire complex has never been sold or converted to other uses and remains in Air Force ownership, making it the most intact site of the eight in the United States. It has been nominated to the National Register of Historic Places. With the closure of the Bomarc site, the by then renamed Aerospace Defense Command ended its activities at McGuire AFB. The large SAGE DC-01 blockhouse is now the headquarters of the 621st Contingency Response Wing. On 1 July 1954, Military Air Transport Service (MATS) took over jurisdiction of McGuire Air Force Base. Through its successor organizations, Military Airlift Command (MAC) in 1966 and since 1992 as Air Mobility Command (AMC), the primary mission of McGuire has remained the strategic airlift of personnel and equipment worldwide. MATS activities at the base began on 1 July 1954 with the 1611th Air Transport Wing being activated. The 1611th ATW flew primarily C-118 Liftmaster (Navy R6D) transports worldwide throughout its existence. It received C-135 Stratolifters in 1962 and was upgraded from a medium to a heavy transport wing. It supported Air Force Reserve associate units beginning in 1961. The wing also operated Aerial Port and Port of Embarkation for the Northeast United States, primarily for European flights. Tenant units of MATS (and later MAC) at McGuire were the Air Weather Service and Air Rescue Service squadrons. On 1 June 1955, MATS moved the Eastern Transport Air Force (EASTAF) to McGuire from Westover AFB, Massachusetts when SAC and Eighth Air Force took over. EASTAF was one of three components of MATS worldwide airlift force, controlling all Air Force strategic airlift operations between the Mississippi River and the east coast of Africa and in Central and South America. On 1 January 1966 MATS was discontinued and its assets were assigned to the new Military Airlift Command (MAC). The 1611th ATW was discontinued and its mission taken over by the 438th Military Airlift Wing. EASTAF was re-designated as the 21st Air Force. 21st AF continued the mission of EASTAF, controlling MAC airlift wings at Dover AFB, Delaware and Charleston AFB, South Carolina and well as McGuire. Depending upon command organization at different times, airlift and airlift support units in Europe, the Azores, Bermuda and throughout the southeastern United States also reported to 21st AF. The 438th MAW completed the replacement of the prop-driven transports of MATS with the new Lockheed C-141 Starlifter. For the next 30 years, the 438th MAW and transported military cargo, mail and passengers worldwide, particularly in the Eastern United States, Atlantic, European and Mediterranean areas, with frequent special missions to the Arctic, the Antarctic, South America, the Far East, and to Southeast Asia combat areas during the Vietnam War. From 1967, McGuire was the best-known C-141 Starlifter base in the world, possessing up to a quarter of MAC's fleet of that aircraft until its retirement in 1994. On 1 December 1991, the wing was redesignated as the 438th Airlift Wing and implemented the objective wing organization. On 1 June 1992, it was assigned to the new Air Mobility Command. On 1 October 1994, the 438th Airlift Wing was inactivated, being replaced at McGuire by the 305th Air Mobility Wing which was transferred from Grissom AFB, Indiana when Grissom was realigned via BRAC action to the Air Force Reserve Command. The C-141 was retired in 2004, being replaced by the C-17 Globemaster III. The 21st Air Force, coupled with the stand up of the 621st Air Mobility Operations Group (621 AMOG) and its later reorganization to the 621st Contingency Response Wing (621 CRW), partnered with the 305 AMW and spearheaded virtually every contingency over the past 14 years, from Operation JOINT ENDEAVOR in the Balkans to Operation IRAQI FREEDOM. McGuire itself, through its support organizations, has also been a key component in the transport of materials and personnel to global crisis points. In 1999, McGuire served as the lead staging base for the evacuation of Kosovo refugees in Operation OPEN ARMS; McGuire was the rally and staging point for FEMA operations in New York City after the 11 September 2001 attacks; in 2005, the base lent key support for Hurricanes Katrina and Rita. On 1 October 2003 the Twenty-First Air Force was re-designated as the 21st Expeditionary Mobility Task Force, reflecting its expanded mission due to the outbreak of the Global War on Terrorism. In 2006, McGuire AFB hosted over 1,800 Lebanese Americans evacuated from the battles there between Israel and Hezbollah insurgents. In 2008, McGuire assumed responsibility for the no-fail "Red Ball Express" aerial port mission, supplying efforts in ENDURING FREEDOM. Today the men and women of McGuire AFB continue to be at the forefront of operations, with regular deployments of airlift and aerial refueling aircraft as well as support elements for combat operations. McGuire hosted a rapidly assembled STRATCOM Joint Task Force satellite recovery team with no prior notice in February 2008, winning praise for its flexibility and support. Team McGuire remains engaged in providing direct combat support to two regional conflicts and provided personnel, resources and aircraft. Due to a Department of Defense (DoD) initiative, McGuire will be the lead service in the first tri-service Joint super-base, combining its infrastructure support with the support of Fort Dix (Army) and Naval Air Engineering Station Lakehurst (Navy). Additionally, the 2005 Base Realignment and Closure Commission (BRAC) identified several units to be added to Team McGuire over the next few years, including contingents from every service branch. Construction of many new facilities, a beautification effort, and new privately owned contract family housing, make McGuire one of the premier Air Force installations. McGuire put on temporary inactive status, 15 February 1946; inactive status, March 1946; transferred to jurisdiction of Selfridge Fld, Michigan, 1 May 1947; transferred to jurisdiction of Andrews AFB, Maryland, 1 August 1947; transferred from jurisdiction of Andrews Fld to Topeka AFB, Kansas, 16–28 August 1948; reactivated as primary installation, 29 August 1948. During inactive status, field remained under major command jurisdiction. In July 2007, the United States Environmental Protection Agency issued an order to the US military to clean up the contaminants at McGuire AFB. Areas requiring cleanup include landfills, fire training areas, pesticide mixing shops, fuel storage and leak areas, underground tanks and fuel lines, a PCB (polychlorinated biphenyl) spill site, and a wastewater treatment plant sludge disposal area. According to the United States Census Bureau, the McGuire Air Force Base CDP had a total area of 5.364 square miles (13.893 km2), including 5.359 square miles (13.879 km2) of land and 0.005 square miles (0.014 km2) of water (0.10%). As of the 2010 United States Census, there were 3,710 people, 1,026 households, and 891.594 families residing in the CDP. The population density was 692.3 per square mile (267.3/km2). There were 1,535 housing units at an average density of 286.5 per square mile (110.6/km2). The racial makeup of the CDP was 69.08% (2,563) White, 16.23% (602) Black or African American, 0.46% (17) Native American, 2.64% (98) Asian, 0.67% (25) Pacific Islander, 3.77% (140) from other races, and 7.14% (265) from two or more races. Hispanic or Latino of any race were 13.64% (506) of the population. There were 1,026 households out of which 67.2% had children under the age of 18 living with them, 75.4% were married couples living together, 7.2% had a female householder with no husband present, and 13.1% were non-families. 7.5% of all households were made up of individuals, and 0.2% had someone living alone who was 65 years of age or older. The average household size was 3.27 and the average family size was 3.49. In the CDP, the population was spread out with 36.5% under the age of 18, 25.2% from 18 to 24, 33.3% from 25 to 44, 4.6% from 45 to 64, and 0.5% who were 65 years of age or older. The median age was 22.2 years. For every 100 females there were 120.8 males. For every 100 females ages 18 and older there were 135.9 males. As of the 2000 United States Census there were 6,478 people, 1,498 households, and 1,466 families residing in the base. The population density was 1,208.3/km² (3,131.0/mi²). There were 1,652 housing units at an average density of 308.1/km² (798.4/mi²). The racial makeup of the base was 69.3% White, 18.9% African American, 0.7% Native American, 2.8% Asian, 0.1% Pacific Islander, 3.2% from other races, and 5.0% from two or more races. Hispanic or Latino of any race were 8.7% of the population. There were 1,498 households out of which 79.4% had children under the age of 18 living with them, 89.0% were married couples living together, 4.9% had a female householder with no husband present, and 2.1% were non-families. 1.9% of all households were made up of individuals and none had someone living alone who was 65 years of age or older. The average household size was 3.51 and the average family size was 3.53. In the base the population was spread out with 35.6% under the age of 18, 22.8% from 18 to 24, 39.9% from 25 to 44, 1.6% from 45 to 64, and 0.1% who were 65 years of age or older. The median age was 22 years. For every 100 females, there were 130.9 males. For every 100 females age 18 and over, there were 153.3 males. The median income for a household in the base was $36,347, and the median income for a family was $36,136. Males had a median income of $22,000 versus $21,659 for females. The per capita income for the base was $12,364. About 5.5% of families and 6.0% of the population were below the poverty line, including 6.7% of those under age 18 and none of those age 65 or over. The North Hanover Township School District serves children in public school for kindergarten through sixth grade from North Hanover Township and from McGuire AFB. Two schools are located on the base and two are in Jacobstown. As of the 2014-15 school year, the district and its four schools had an enrollment of 1,230 students and 112.8 classroom teachers (on an FTE basis), for a student–teacher ratio of 10.9:1. It is the largest K-6 school district in Burlington County. [citation needed] Schools in the district (with 2014-15 school enrollment data from the National Center for Education Statistics) are Discovery Elementary School (grades PreK-K; 294 students) in McGuire AFB Atlantis Elementary School (1-2; 236) in McGuire AFB Clarence B. Lamb Elementary School (1-4; 425) in Jacobstown and Upper Elementary School School (5-6; 272) in Jacobstown. The Northern Burlington County Regional School District serves children in public school for seventh through twelfth grades. Students are served from Chesterfield Township, Mansfield Township, North Hanover Township and Springfield Township, along with children of USAF personnel based at McGuire AFB. The schools in the district (with 2014-15 enrollment data from the National Center for Education Statistics) are Northern Burlington County Regional Middle School for grades 7 and 8 (758 students) and Northern Burlington County Regional High School for grades 9-12 (1,355 students). The base is also the site of basic encampment for the New Jersey Wing of the Civil Air Patrol. Cadets in encampment are educated on life in the military, careers in the United States Air Force, and principles of aviation. New Jersey Route 68 links the base to U.S. Route 206 near the latter's interchanges with the New Jersey Turnpike, U.S. Route 130 and Interstate 195. New Jersey Transit provides service to and from Philadelphia on the 317 route. ^ GCT-PH1 - Population, Housing Units, Area, and Density: 2010 - County -- County Subdivision and Place from the 2010 Census Summary File 1 for Burlington County, New Jersey, United States Census Bureau. Accessed 18 June 2013. ^ 2006-2010 American Community Survey Geography for New Jersey, United States Census Bureau. Accessed 18 June 2013. ^ a b c New Jersey: 2010 - Population and Housing Unit Counts - 2010 Census of Population and Housing (CPH-2-32), United States Census Bureau, p. III-5, August 2012. Accessed 18 June 2013. ^ a b c d e f DP-1 - Profile of General Population and Housing Characteristics: 2010 Demographic Profile Data for McGuire AFB CDP, New Jersey, United States Census Bureau. Accessed 18 June 2013. ^ Mission Partners Archived 22 July 2011 at the Wayback Machine webpage. Joint Base McGuire-Dix-Lakehurst (JB MDL) official website. Accessed 2010-06-18. ^ "COLONEL NEIL R. RICHARDSON > Joint Base McGuire-Dix-Lakehurst > Display". www.jointbasemdl.af.mil. ^ "CHIEF MASTER SGT. CHRISTOPHER M. YEVCHAK > Joint Base McGuire-Dix-Lakehurst > Display". www.jointbasemdl.af.mil. ^ "Joint Base McGuire-Dix-Lakehurst McGuire". Archived from the original on 12 December 2012. ^ via Associated Press. "Air Force Ordered to Clean up McGuire", Military.com, 14 July 2007. Accessed 18 June 2013. ^ U.S. Geological Survey Geographic Names Information System: McGuire Air Force Base Census Designated Place, Geographic Names Information System. Accessed 18 June 2013. ^ a b c Gazetteer of New Jersey Places, United States Census Bureau. Accessed 18 June 2013. ^ a b American FactFinder, United States Census Bureau. Accessed 4 September 2014. ^ A Cure for the Common Codes: New Jersey Archived 10 November 2004 at the Wayback Machine, Missouri Census Data Center. Accessed 18 June 2013. ^ US Board on Geographic Names, United States Geological Survey. Accessed 4 September 2014. 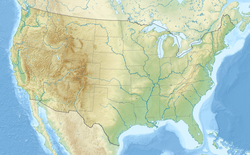 ^ US Gazetteer files: 2010, 2000, and 1990, United States Census Bureau. Accessed 4 September 2014. ^ Staff. 1980 Census of Population: Number of Inhabitants United States Summary, p. 1-140. United States Census Bureau, June 1983. Accessed 17 June 2013. ^ a b c d e DP-1 - Profile of General Demographic Characteristics: 2000 from the Census 2000 Summary File 1 (SF 1) 100-Percent Data for McGuire AFB CDP, New Jersey, United States Census Bureau. Accessed 18 June 2013. ^ District information for North Hanover Township School District, National Center for Education Statistics. Accessed December 7, 2016. ^ School Data for the North Hanover Township School District, National Center for Education Statistics. Accessed December 7, 2016. ^ Discovery Elementary School Archived 9 January 2017 at the Wayback Machine, North Hanover Township School District. Accessed January 8, 2017. ^ Atlantis Elementary School Archived 9 January 2017 at the Wayback Machine, North Hanover Township School District. Accessed January 8, 2017. ^ Clarence B. Lamb Elementary School Archived 9 January 2017 at the Wayback Machine, North Hanover Township School District. Accessed January 8, 2017. ^ Upper Elementary School School Archived 1 January 2017 at the Wayback Machine, North Hanover Township School District. Accessed January 8, 2017. ^ Our Schools Archived 8 May 2013 at the Wayback Machine, North Hanover Township School District. Accessed January 8, 2017. "Two schools, Discovery School and Atlantis School, are located in the Falcon Courts North Section of Joint Base McGuire-Dix-Lakehurst. The Upper Elementary School and the C.B. Lamb Elementary School are located in the Jacobstown section of North Hanover Township." ^ New Jersey School Directory for the North Hanover Township School District, New Jersey Department of Education. Accessed December 29, 2016. ^ Northern Burlington County Regional School District 2015 Report Card Narrative, New Jersey Department of Education. Accessed May 31, 2016. "The Northern Burlington County Regional Middle School and High School are located in Mansfield Township. Its constituent elementary districts are Chesterfield, Mansfield, North Hanover, and Springfield Townships. In addition, the district serves the Children of United States military personnel stationed at Joint Base McGuire-Dix-Lakehurst." ^ Esposito, Martha. "Discover Burlington County 2013: Regional School Districts", Burlington County Times, April 26, 2015. Accessed May 31, 2016. "NORTHERN BURLINGTON COUNTY REGIONAL - Serves: Chesterfield, Mansfield, North Hanover, Springfield, Joint Base McGuire-Dix-Lakehurst"
^ School Data for the Northern Burlington County Regional School District, National Center for Education Statistics. Accessed December 7, 2016. ^ Northern Burlington County Regional Middle School, Northern Burlington County Regional School District. Accessed January 8, 2017. ^ Northern Burlington County Regional High School, Northern Burlington County Regional School District. Accessed January 8, 2017. ^ New Jersey School Directory for the Northern Burlington County Regional School District, New Jersey Department of Education. Accessed December 29, 2016. ^ https://sites.google.com/a/njwg.cap.gov/encampment/ Accessed November 5, 2018. ^ Burlington County Bus / Rail Connections, New Jersey Transit, backed up by the Internet Archive as of 26 June 2010. Accessed 18 June 2013. This article incorporates public domain material from the United States Government document "McGuire Field". Wikimedia Commons has media related to McGuire Air Force Base.